The two-time WNBA Coach of the Year has signed an extension to remain in San Antonio. 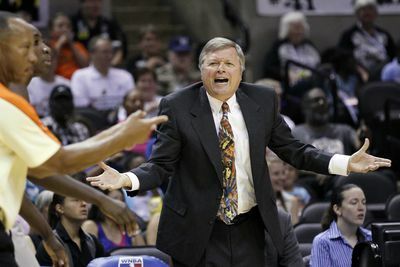 On Tuesday, the San Antonio Stars announced that head coach and general manager Dan Hughes has signed a multi-year extension with the team. Hughes has won 222 regular season games a head coach, second all-time, and has coached more regular season games than any other coach in league history. While in San Antonio, Hughes led the Stars to the 2008 WNBA Finals, and has developed a reputation as one of the best, if not the best player development coach in the league. A well-deserved extension for Hughes. Hopefully he can lead the Stars to a WNBA championship before it’s all said and done.